Game Of Thrones has been a massive worldwide success for HBO and its European partners at Sky TV, that’s a given. But with the series finale now in sight, it seems that the network has gone as mad with power as Cersei Lannister facing the end of her family’s reign on the Iron Throne. In other words, HBO is pitting four different writers, each developing their own Game Of Thrones spin-off, against each other in a game of literary bloodsport, with no guarantees on how many of the shows will make it to air. Could be all, could be just one. Two of the shows have series creator George R.R. Martin involved in their creation, and all four writers are TV and/or movie veterans. According to EW, the four hopefuls are: Kong: Skull Island and Godzilla writer Max Borenstein; Kingsman: The Secret Service and X-Men: First Class writer Jane Goldman (with Martin); L.A. Confidential and Mystic River writer Brian Helgeland; and Mad Men staff writer Carly Wray (with Martin). 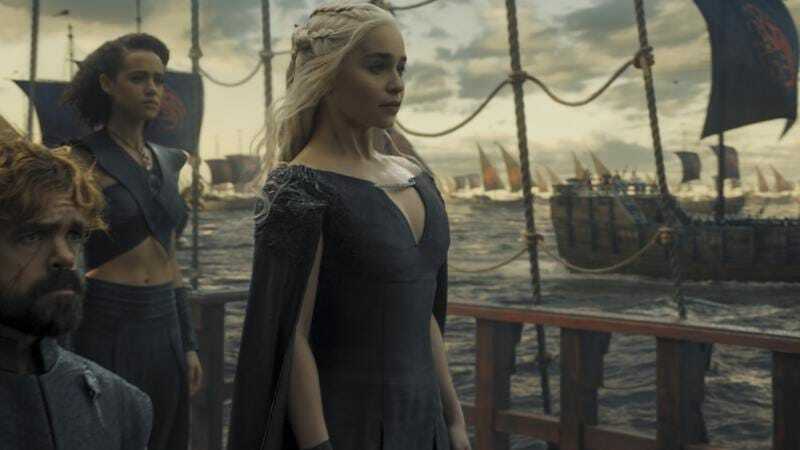 Game Of Thrones showrunners David Benioff and Dan Weiss will be attached to any spin-off series as executive producers, but won’t be involved in the writing process. No word yet on what each of these four potential spin-offs is about, but fingers crossed that tiny badass Lyanna Mormont is involved somehow. It’s also unclear how the series will play out; there’s a possibility that one or more of them could be a standalone miniseries, according to HBO. This will be HBO’s first time making a followup to one of its shows, so remember, brave wordsmiths: In the game of spin-offs, you impress HBO executives, or you die.